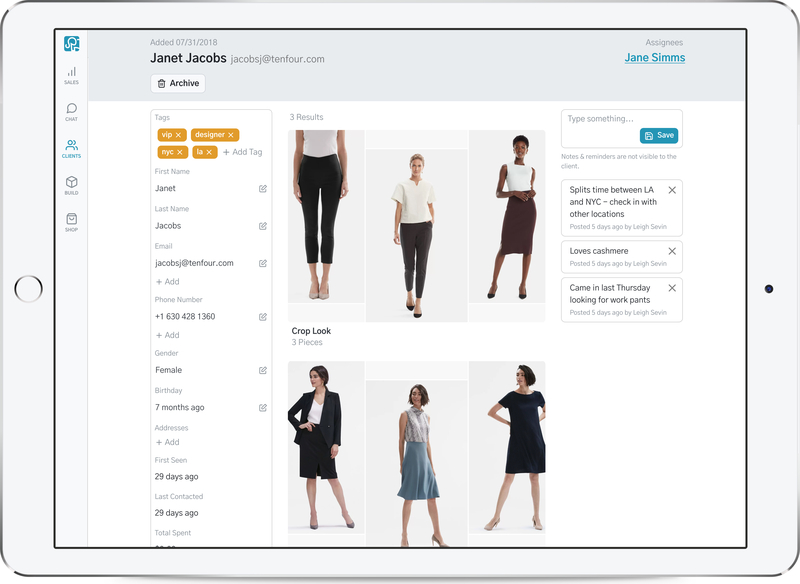 Collect insights from your stores by moving clientbooks online. Arthur's CRM will enable your associates to share observations and insights with each other and keep up with your customers' activity. Lead your customers to check-out faster with customized recommendations. 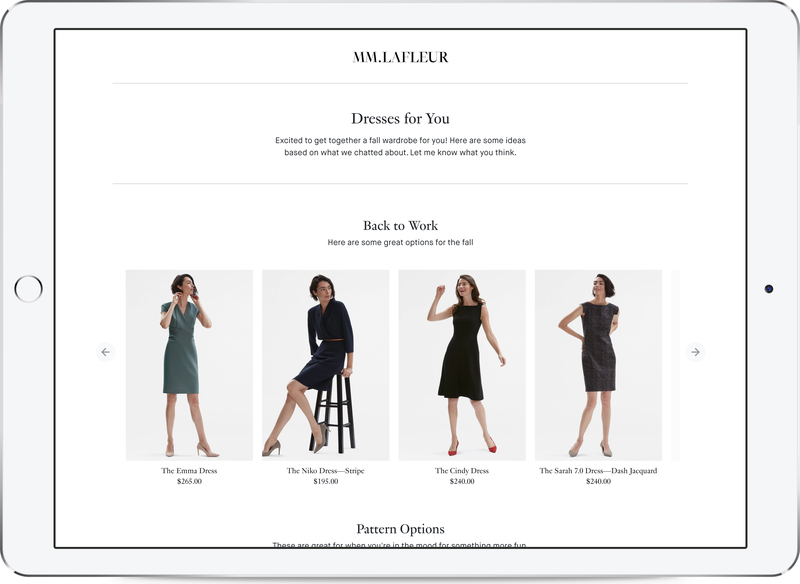 Lookbook tracking means associates are no longer limited to selling within four walls. Give your associates a branded, safe way to correspond with customers across channels. 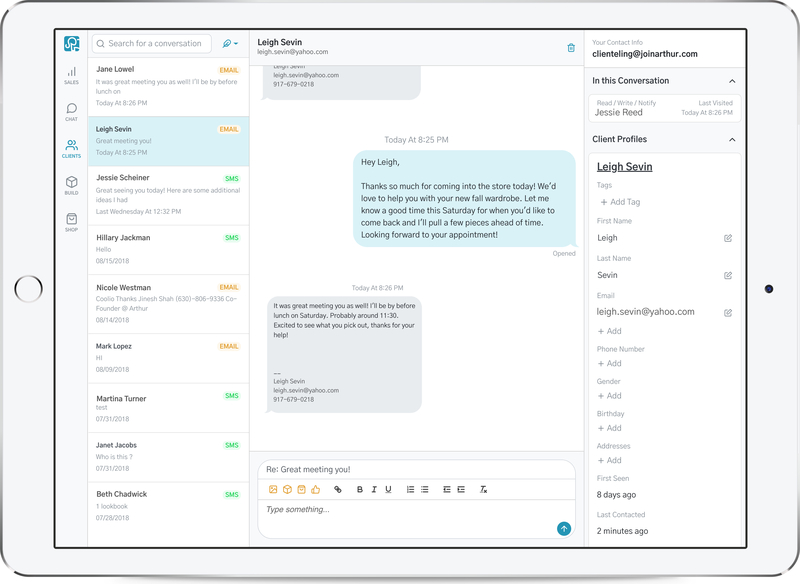 Centralized phone numbers and e-mail addresses enable you to chart how messaging impacts performance. Your associates will love us.